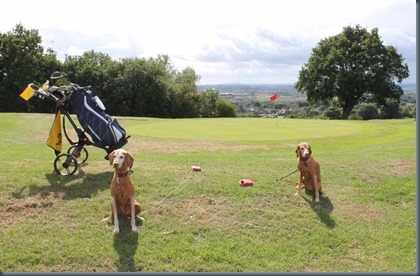 Welcome – Off to the dog golfing desert of the UK – the Midlands. My wife and I have long wanted to visit the Lake District and Blackpool to dance in the Tower Ballroom. 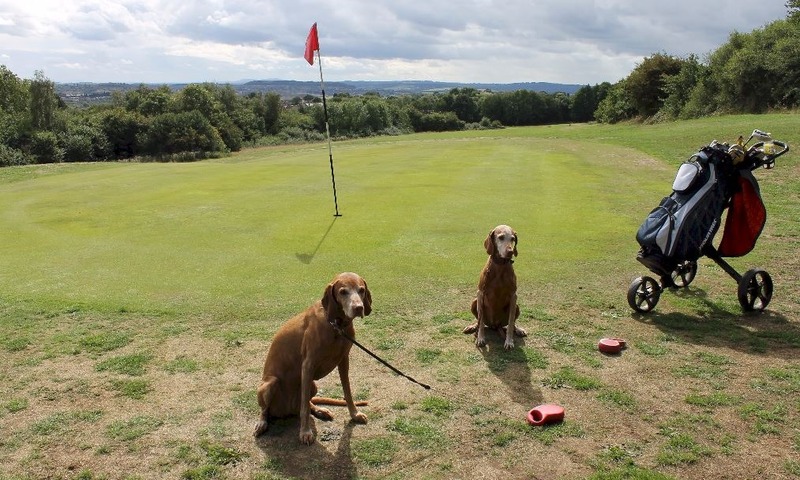 Our previous dog golfing expeditions this year have taken us to coastal extremes – Norfolk to the east and Cornwall to the west. Now it is time to try the northwest coast. The outset of the trip underscored the challenges keeping information up to date. We originally planned to stop off at Brookfield GC about two-thirds (bit over 2 hours) of the way up to Blackpool, but when we set off and called for a tee-time, it turns out that they had shut down operations since I spoke to them last year. We then tried Enville and Burslem and both no longer allow dogs (the website database has been updated). We finally found Sedgley (aka Mark Butler Golf Academy) just past Birmingham. 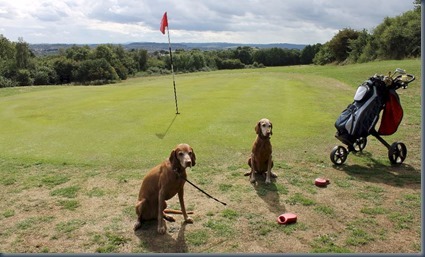 They are happy to have dogs, but are concerned that they be properly controlled with a lead and looked after (eg. cleaned up after) which they make clear when you arrive. That said, everyone there seemed very happy to welcome Rusty and Grace. Walk – It’s mostly all downhill from the expansive vista at the clubhouse (see photo above). Unfortunately, you do have a Matterhorn like climb back up to the 8th and 9th at the end of your round (but being a short course it was all quite manageable). Water – No water on the course, but again, being a short course you don’t have too long to go before you are back at the clubhouse for some water. Wildlife – And not a lot of wildlife to speak of. Wind Down – The doggie pubs situation in the area is nearly as limited as the dog golfing. We turned to our trusty site, DoggyPubs.org.uk, and went through about the first dozen without any luck to find one open and serving. So we had to make do with proceeding on our way for our northwest passage and simply stopping at a motorway services for some refreshment.